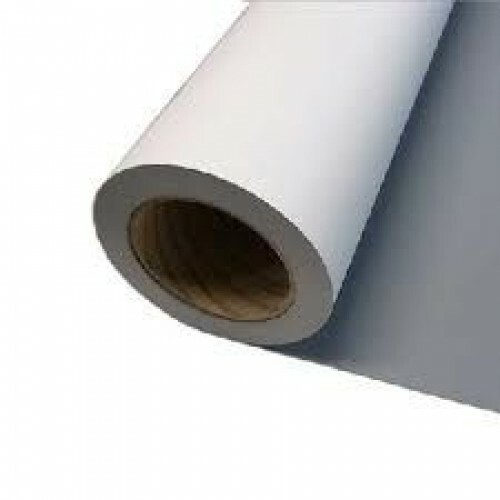 Roll Up Textured Banner Grey Back Film 200mu. A bright white, textured, satin coated, grey bloc..
Canon 97004267 IJM367 Polyprop Roll Up Matt Banner Grey Back Lightblock Film 200mu. This bright whit..
Canon 97004266 IJM367 Polyprop Roll Up Matt Banner Grey Back Lightblock Film 200mu. This bright white, matt coated, light grey blockout display banner with excellent no curl characteristics is perfect for indoor banners and roll up displays, posters and high resolution graphics and Point of Sale displays. It is instant drying and water resistant with excellent print qualities and an anti-glare matt surface. The universal coating makes it suitable for use with any wide format dye and pigment printer including HP, Canon, Oce and Epson and Oce Colorwave 700.